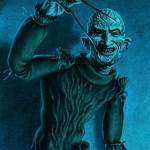 Check out box art for the upcoming A Nightmare on Elm Street 3: Dream Warriors Freddy Puppet Prop Replica. The artwork was done by artist Jason Edmiston. The Freddy Puppet should hit stores this Summer. Click the thumbnail pic for the full image. Holy s, this is AWESOME. I collect Pelham puppets and I’m a fan of the NoES films (especially Dream Warriors), so I’m very interested in this. It’s a bit bland though. 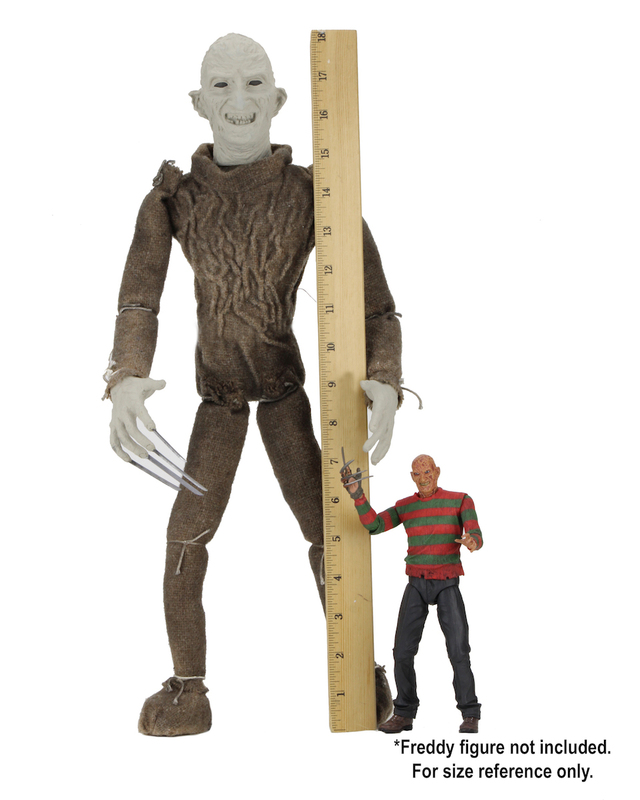 Not NECA’s fault as it’s movie-accurate, but I can’t see it selling well.